What should government employees expect from seventh pay commission? Every employee serving under central government is waiting for the year 2016 when seventh pay commission would be applied to their salaries, perks and remunerations and thus their take home salaries would increase manifold. This would help them adjust their finances according to the rising inflation and devaluation of Indian Rupee. The years would also bring enormous happiness for the employees of government of India and would mark a 10 year long wait for the pay commission. The seventh pay commission was first planned and established in year 2014 by the then Prime Minister Man Mohan Singh and announced accordingly. Initially, when the commission was constituted, it was decided that the commission would submit it suggestions and the pay rise would be executed within 15 years from the date of constitution of seventh pay commission. This marks that the seventh pay commission should be implemented effective September 2015. However, there have been delays in the process and as per the official sources; it would be implemented effective January 2016. What has seventh pay commission being doing so far? For the last many months, pay commission has been pondering over various aspects for appraisal for central government employees. It has been submitting memorandum and engaged in talks with various unions and organizations, which are working directly and indirectly for the government employees. It has been travelling to several cities in order to meet government staff and employee organizations. The pay commission is supposed to create new pay scales for central government employees that would be in par with several public sector employers like GAIL, ONGC, BHEL, NTPC, etc and also to keep the salaries of central government employees in par with the private sector work force. Nevertheless, the pay commissions take into the account the regulations of International Labor Union (ILO) and keep it for a benchmarking. 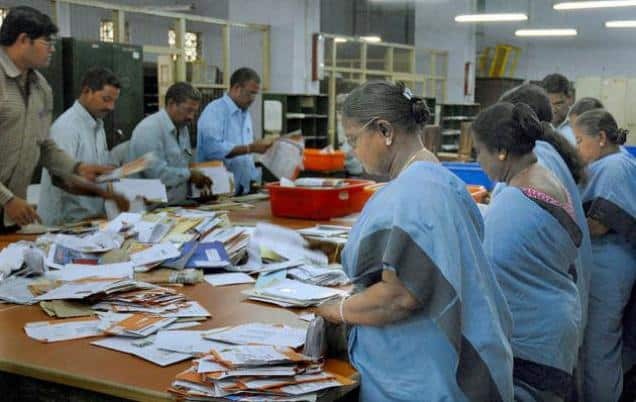 Few sources and analysts who are closely monitoring the trends in and hints from the ministry suggest that there would be a four time increase in the take home salary of the central government employees. The estimate is not really believable, but then it can be true as well. If this happens, an employee getting a take hope salary of Rs 40,000 currently should be getting more than or equal to a lakh rupee. This is something extraordinary and if this happens, it would change the face of how government employees and their families lead their life. The travel allowance of any government employee is directly based on the salary. If the basic pay increases, there would definitely be an increase in the travel allowance an employee is getting. This would mean that employees would be able to wander to destinations which they could not do so till now due to lack of financial support. All this is going to increase the overall business of travel industry. When people earn more, they would spend more and travel allowance is something that an employee has to utilize otherwise the allowance gets void. The seventh pay commission should thus be welcomed by industries related to travel and leisure. A manifold increase in the salaries of central government employees would mean a direct increase in the savings of their families. This would lead to their better financial security and thus a lot of peace of mind. When the family of a government employee gets a particular amount to spend every month, they adjust their expenses according to it. When there is a sudden increase in the salary suddenly, the expenses would not really rise in proportion to the rise in their salaries and thus they can expect a higher saving with implementation of seventh pay commission. Increase in income every month would mean a direct effect on the lifestyle of government employees and their families. For example, if a family has been driving in a hunchback car and have been dreaming of a luxurious sedan, they can afford it on installments now. This is just one casual illustration. The impact of seventh pay commission on the lifestyle of government employees would be huge and impacting. Off late, we have been noticing for the past few decades that younger job aspirants are not too much interested in joining government services. This has increased more since the liberalization of economy and foreign companies opening their operations in India. In private sector, the opportunities are immense for youth of India, not just in the country but abroad as well. This stops the talented and capable lot to join government services and thus the government bodies get deprived of better talent. This entire gap is simply because of lower salaries and perks. If government services can offer justifiable, if not higher salaries as compared to their private sector counterparts, it would start getting more and more talented workforce. Seventh pay commission, if is able to increase the salaries by four times, it would certainly attract the fresh incumbents. An estimate shows that as soon as the seventh pay commission is launched and made effective, it would result to an increase in sales of automobiles. There have been government servants, especially at clerical level who have been dreaming of owning a car and their families have been just waiting for an affordable salary package so that they too may afford a car for their household. With salaries increasing manifold, a mini car would no more be a dream for such employees and they would be able to have four wheels for themselves and their families. Last but not the least, the seventh pay commission is expected to bring a lot many good news to the people working in government of India. This, we believe is going to be a turning point for employees who are working with respective state governments and public sector undertakings. A hike in the salaries of central government employees would be followed by a proportional hike in that of the state government and PSU’s employees.